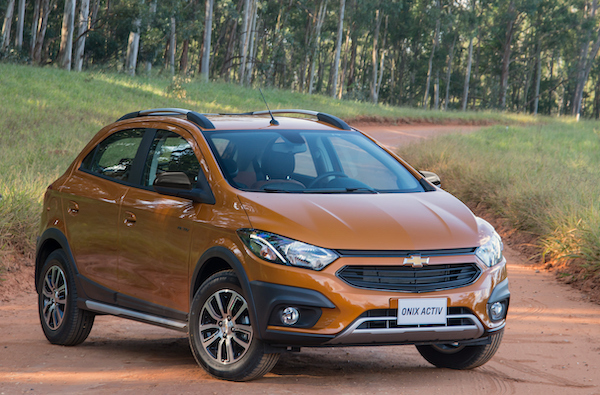 It’s another record year for the Chevrolet Onix in Brazil. Consult Brazilian Historical Data spanning the last 60 years here. Recovery is confirmed in Brazil with 2018 marking the 2nd consecutive year of growth at +13.7% to 2.470.654 registrations, even accelerating the pace after +9.4% in 2017. We are still over one million units off the record 3.63 million sales of 2012 but this year’s gain helps erase three years of decline, returning the Brazilian annual volume to its 2015 level. Although it trails the market at +10.2%, brand leader Chevrolet comfortably remains #1 with 17.6% share, even scoring its first month above 20% in 7 years in November. Volkswagen soars 35.3% to reclaim the #2 spot off Fiat (+11.8%) while Ford (+9.5%) stays put at #4 but Renault (+28.7%) leapfrogs past Hyundai (+2.3%) and Toyota (+5.3%) to return into the annual Top 5 for the first time since 2014. Nissan (+23.7%) and Jeep (+21.3%) are the other two Top 10 carmakers berating the market, with Jeep scoring its very first six-digit annual figure in Brazil. Below, Kia (+39%) impresses and gains two spot to #15 but it’s Chery (+131.4%) and Volvo (+127.8%) that score the best performances in the Top 20, the former becoming the first Chinese brand to make it into the annual Brazilian Top 20 since… itself in 2015 and the largest annual volume by a Chinese brand since itself again but in 2014 this time. Over in the models ranking, far from showing any sign of weakness the Chevrolet Onix (+11.6%) almost matches the market and is the only Top 5 nameplate to post a double-digit gain this year, scoring its first ever year above 200.000 sales. In fact, never before had the Onix be that dominant, posting its 3 all-time highest volumes in the space of 4 months: 22.324 in October, 22.277 in November and 21.763 in August, lifting its record share to 10.1% in November – its first time above 10% – and taking the habit of selling over twice the amount of the #2, breaking its record ratio three times: 2.10x in January, 2.13x in October and 2.52x in November. Finally, the Onix celebrates 41 consecutive months at #1 in December, or no interruption since August 2015. The Hyundai HB20 is almost immobile on 2017 (-33 sales) and resists the assault of the Ford Ka (+8.8%) while the VW Gol (+5%) and Chevrolet Prisma (+4%) post soft gains. 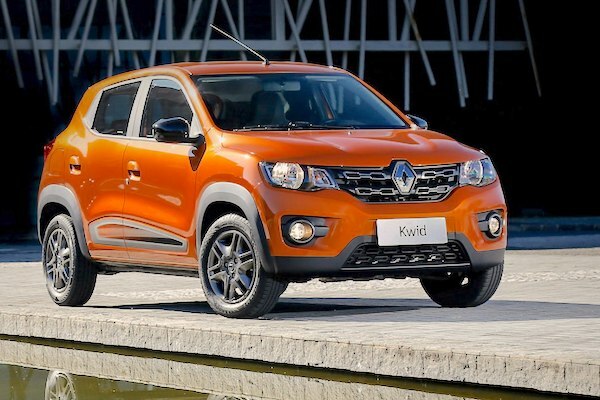 ...the same way the Kwid (+198.2%) helped Renault gain 28.7%. It’s below that the ranking gets a good shake with the arrival of three 2017 launches now enjoying their first full year of sales in Brazil: the VW Polo (+630.8%) up 51 spots to #6, the Renault Kwid (+198.2%) up 29 to #7 and the Fiat Argo (+125.6%) up 18 to #9. Both the Polo and Kwid nameplates peaked at a monthly 4th place while the Argo peaked at #6, and all were regular in the Top 10: 11 months for the Polo, 9 for the Kwid and 8 for the Argo. In short: three forces to be reckoned with in the near future. The Jeep Compass (+22.6%) also breaks into the annual Brazilian Top 10 for the first time, cementing its status as the country’s best-selling SUV ahead of the Hyundai Creta (+17.7%). Knocked out of the Top 10 on the other hand are the Renault Sandero (-22.2%) following the same dynamic as in neighbouring Argentina where the Kwid has also taken charge, the Toyota Corolla (-10.8%), Fiat Mobi (-8.8%) and Toro (+15.3%) despite actually gaining market share. 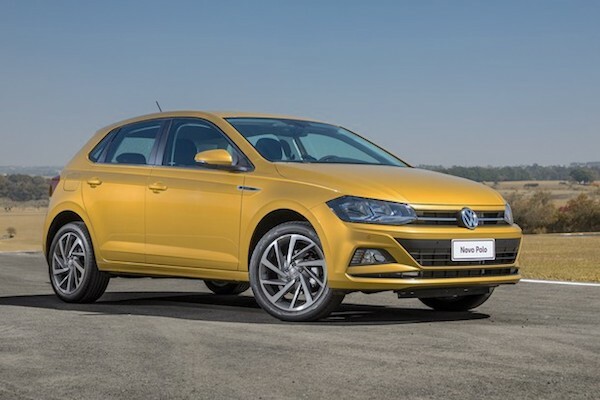 Let’s also salute the VW Virtus (#20) launched in December 2017 and the Fiat Cronos (#28), Toyota Yaris Hatch (#44) and Sedan (#55) as well as the Chery Tiggo 2 (#70), the most popular 2018 launches. Among continuing models, the Chevrolet Tracker (+115.7%), Renault Captur (+92.9%), Ford Ka Sedan (+41.2%), Nissan Kicks (+39.9%), Renault Duster (+33.7%) and Jeep Renegade (+20.9%) stand out. Full Year 2018 Top 20 brands and Top 150 models vs. Full Year 2017 figures below. Full December 2018 Top 20 brands and Top 150 models below.